Even if you use your motorhome regularly over the winter it is still vital you prepare it properly for any period of storage where the temperature is likely to drop below freezing. 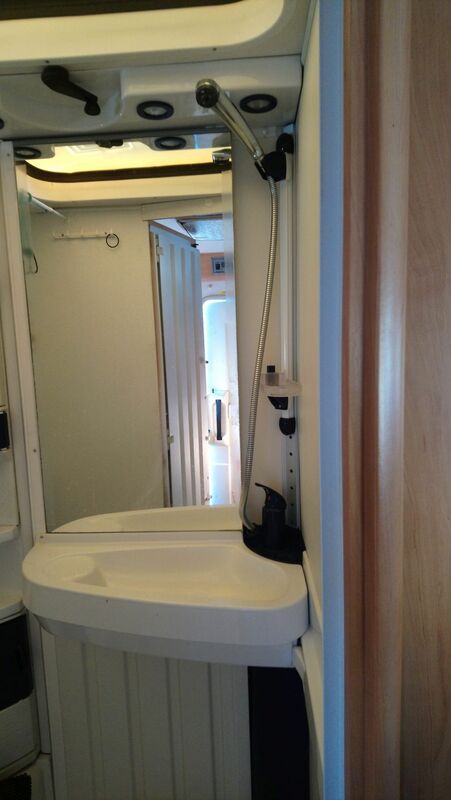 Failure to do this can cause expensive damage to your motorhome! Here are the basics of preparing your motohome for winter storage – it’s based on our Hymer B544 but the process will be similar whatever make & model you have. Empty the water out of the boiler – a typical Truma style boiler holds about 12 litres of water and if this is allowed to freeze it can crack the metal vessel in the boiler, probably the most expensive potential failure as it can require replacement of the entire boiler! Most systems are fitted with a ‘frost protection valve’ which is designed to open automatically when the temperature drops close to freezing, but it is a good idea to open this manually just in case it is not working for some reason. 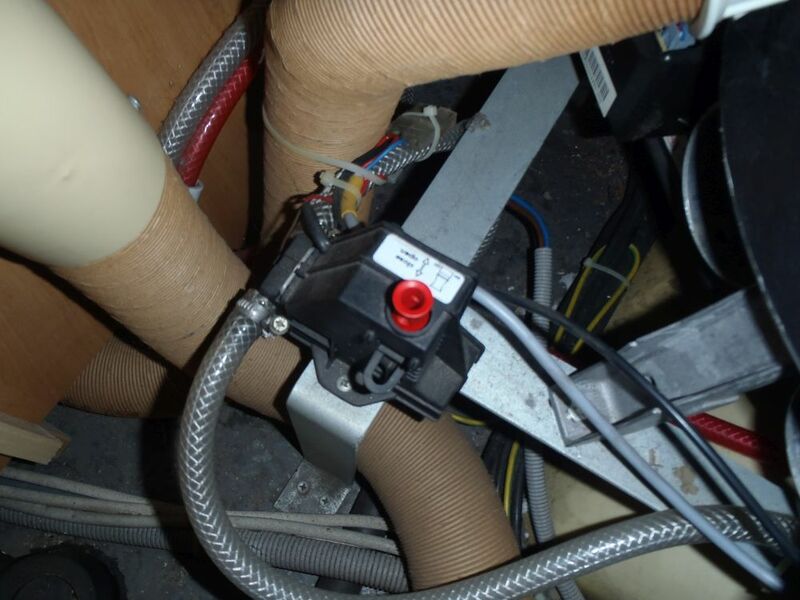 Push the red button on the top of the unit down and the boiler will drain out under the van. If you don’t have a frost protection valve there should be a manual valve/top located at the lowest point of the pipework near the boiler. 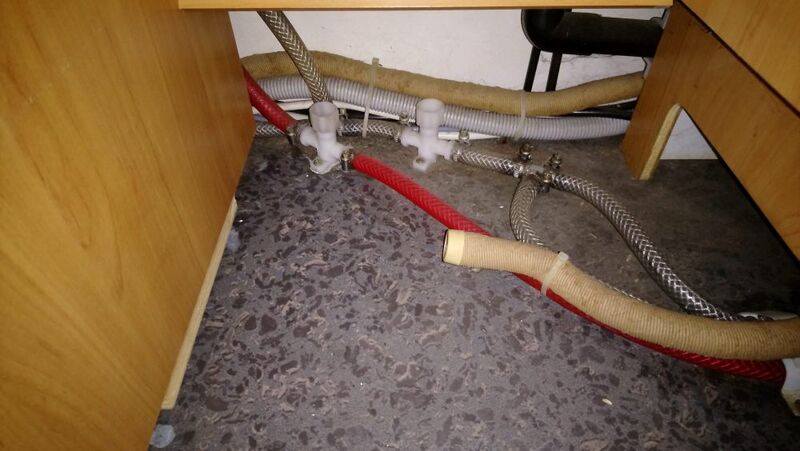 Simply turn the white knobs anticlockwise and any water left in the pipes will drain out under the van. When you do this it is important to open all the taps so that air can be drawn in to replace the water draining out, if you have mixer taps set them to half way between hot and cold. Finally it’s worth checking you haven’t left any liquids in your food cupboards, as a burst bottle or jar could make a hell of a mess! Hope this helps – if you have any questions or advice of your own please leave a comment below……. Motorhome broadband WiFi – cheap!